Rising above the endless expanse of vineyards in the Occitanie region of southern France is the hilltop castle of Carcassonne. Its crenelated walls, arrowhead-shaped turrets, and grey stone buildings have inspired and intimidated onlookers for centuries. Today, this UNESCO World Heritage Site draws over 3 million visitors a year. 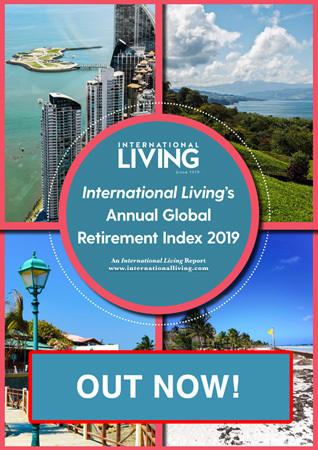 It also compels expats from around the world looking for sunshine, quality healthcare, good infrastructure, and la vie en rose (a life viewed through rose-colored glasses). However, life in Carcassonne wasn’t always so rosy. The legend of the city’s namesake comes from a siege in the 8th century. Lady Carcas, a resident of the walled city, had an idea. She fattened a pig with wheat and released it from the city walls. Convinced the city’s defenders had plenty of food, the attackers withdrew, prompting the residents to ring the city’s bells in joy. This become known as Carcas’ Sound, or Carcassonne. While Carcas’ Sound may be a fictional tale, it hasn’t stopped the city from placing a large stone bust of Lady Carcas outside the city gates. The city’s real name dates back to the Roman fortress of Castellum Carcaso, when the hill’s strategic position at the center of east-west and north-south trade routes made it an important commercial hub. 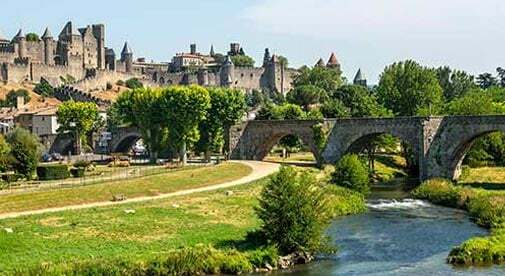 Carcassonne still holds an important geographical distinction, especially for international expats and investors. Tourism revenue keeps the city’s coffers full. As a result, the city’s infrastructure is well maintained. The local airport is serviced by low-cost airline Ryanair, and the train station connects travelers to the Mediterranean coast and the nearby city of Toulouse—a diversified economy of over 1.2 million people. Toulouse’s healthcare system is thought to be some of the best in France (and therefore the world). It is also the center of the European aerospace industry and has a thriving university system, meaning the city’s fiber optic internet backbone has spilled over into Carcassonne. As a result, broadband speeds can be incredibly fast. Historically, the economic region around Carcassonne was more simplified and agrarian. Wine, wheat, and cloth, together with supply activities for the city’s military garrison, were the primary industries for most of its history. The city received an economic boost in 1681 with the construction of the Canal royal en Languedoc—later renamed the Canal du Midi during the French Revolution in 1789. This modern engineering marvel connected the walled city of Carcassonne to the economies of the Atlantic and Mediterranean coasts. The Canal du Midi is still operational today. It runs through the “new town” of Carcassonne and was inscribed as a UNESCO site in 1996. The leafy plane trees of the canal once protected donkeys and their owners as they pulled barges laden with cargo to the open sea. In the 21st century, the trees continue to provide shade from the summer sunshine of southern France. However, instead of rope-drawn barges, leisure boats and their passengers are the ones taking advantage of the natural sunscreen. Using the canal’s system of locks, they are frequently spotted cruising the canal with a glass of wine in hand—often the result of a purchase in nearby Bordeaux or from one of the many wineries scattered along the canal. Canal boats stopping in Carcassonne will have more than just the region’s pleasant climate to appreciate. A walk through the new town yields discoveries in fresh produce, savory cuisine, and affordable haircuts—should they desire a coiffing. However, it is the walled fortress on a hill, known locally as “La Cité,” that continues to capture the hearts and minds of those who happen upon it. For some, it might be so compelling that they might want to settle down and live within earshot of the bells of Carcas’ Sound.